Drex DeFord, CIO and senior vice president of Seattle Children’s Hospital, has been named 2012 Chair of CHIME’s Board of Trustees. DeFord, who serves on the healthsystemCIO.com Advisory Panel, is a CHIME fellow and Certified Healthcare CIO. He has been on CHIME’s board for three years, and has been a member of the organization for 13 years. “CHIME continues to evolve in meeting the needs of its members, through education and ongoing communication, as the healthcare industry increasingly turns to CIOs for IT leadership,” DeFord said. 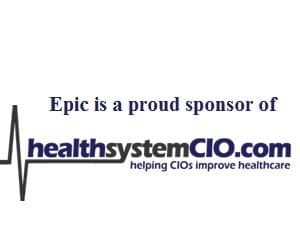 “2012 is set to be a year of unprecedented challenges and opportunity for the healthcare industry, and CHIME members must lead the charge for their hospitals and health systems. DeFord has served on several working groups within CHIME, including the Membership Committee, Fall Forum Planning Committee, and CHIME Foundation Strategic Advisory Council. Seattle Children’s includes a 250-bed teaching hospital, research institute, and foundation, is among the nation’s top-ranked children’s hospitals. Seattle Children’s Hospital is the primary teaching, clinical, and research site for the department of Pediatrics at the University of Washington School of Medicine.